West Ranch student-athlete Maya Evans died Thursday morning, which was confirmed through several officials with West Ranch athletics. Evans was diagnosed with leukemia in fall 2016. She played girls lacrosse for the Wildcats and was a valued member of the student body, even though she was home-schooled for the remainder of her senior year in 2017. 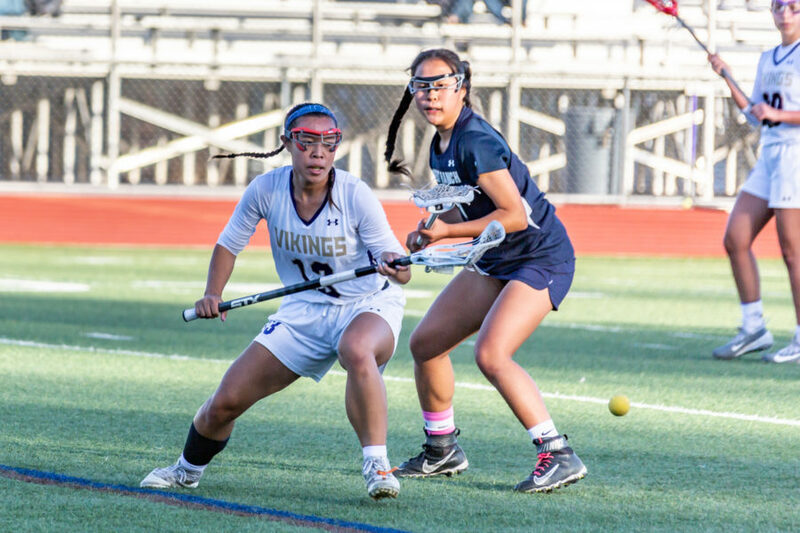 The West Ranch girls lacrosse team will play Westlake in a playoff game today at 7 p.m. in Evans’ honor. “We are all heartbroken, but we know this is what Maya would have wanted,” Cheminank said. West Ranch and rival Valencia got together over the weekend to hold a fundraiser for Evans. From a previous story: West Ranch Lacrosse fights back against cancer The team began the fight last year after Evans was diagnosed with leukemia. That year, they raised $3,000 to help the family, according to Tammy Hildebrand a team mom of West Ranch Lacrosse. This year all the proceeds from donations will go to the V-Foundation, which conducts research into the treatment of cancer. “We decided that going forward we would like to take (the fundraiser) to a larger scale of an annual event, where all the proceeds go to a cancer research foundation,” said Katie Demsher a team mom and volunteer with the fundraiser. “The V-Foundation is great because they put research into 12 kinds of cancer, I believe they are one of those top foundations where almost every dollar that goes in goes into research.” Cross town rival, Valencia High School joined West Ranch both on the field and off to help raise funds for the foundation. Both teams showed their support by wearing orange socks, Evan’s favorite color. “We really appreciate their support,” said West Ranch varsity coach Mike Borsos. “One of the mothers of our players is battle breast cancer and a father of a player is dealing with throat cancer, we just find a way to let people know we are thinking about them.” “In this valley everybody works together,” Demsher explained. “So our coaches contacted their coaches, immediately they got on board. A parent on the Valencia team said, ‘let me get the word out to the Valencia community as well’. Typically out in the Santa Clarita valley everybody is gonna be in it for any of our youth.” The day started with a pancake breakfast at 8 a.m. before starting the kicking off the last game of the regular season between the varsity teams. Skylar Barti contributed to this story.